Choose an annuity or certificate of deposit for your money. Annuities and certificates of deposit are types of investments used frequently in retirement planning and funds. They have some similarities in that each can offer regular rates of return, but they have some major differences. Annuities are issued by insurance companies; certificates of deposit, called CDs, are offered by banks, savings and loans, and credit unions. Some investors use both. The most common annuities are fixed and variable, both of which are created by an investor depositing money with an insurance company. Fixed annuities offer a specific rate of return and periodic payments for a certain time. 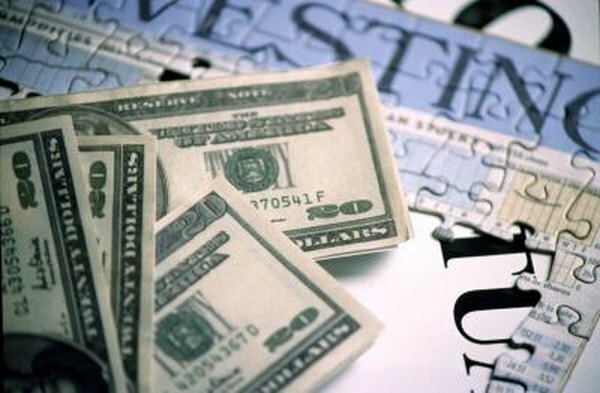 Variable annuities put money into investments such as mutual funds, so the returns vary, and they are regulated as securities by the Securities and Exchange Commission. A variation is an indexed annuity, which is tied to investments in an index, such the Standard and Poor's 500-stock index. These may fall under SEC regulation, but usually do not. Fixed annuities are not regulated by the SEC. With a certificate of deposit, an investor agrees to leave a sum of money in a financial institution for a fixed time, which can range from 30 days to five years or more. The institution provides a specific rate of interest, typically increasing with the length of term. When a CD matures, the investor gets the original sum plus accumulated interest. CDs generally are insured up to $250,000 by the Federal Deposit Insurance Corp. Both annuities and CDs may have penalties for withdrawing money before the expiration of the contract, but annuities can be arranged to make periodic payments, while all money stays in a CD until it matures. An annuity can provide regular income, while a CD will offer income growth. Earnings on annuities are tax-deferred until they are withdrawn. Earnings withdrawals can be delayed or staggered to reduce the effect on taxable income. Earnings on CDs are taxable in the year they are reported, whether or not they are withdrawn then. A five-year CD, for instance, will accrue taxable income each year until its maturity. Annuities are more flexible than CDs, and some come with a death benefit for heirs when the account holder dies. Annuities can be deferred, with payments to start at a specified later time, or they may be lifetime, with regular payments for the life of the holder. A fixed annuity can be arranged so it continues to pay for the specified duration, even if the holder dies. CDs are tied to specific terms, but some now provide for payment to heirs if the account holder dies. What Happens When a Fixed IRA Matures?